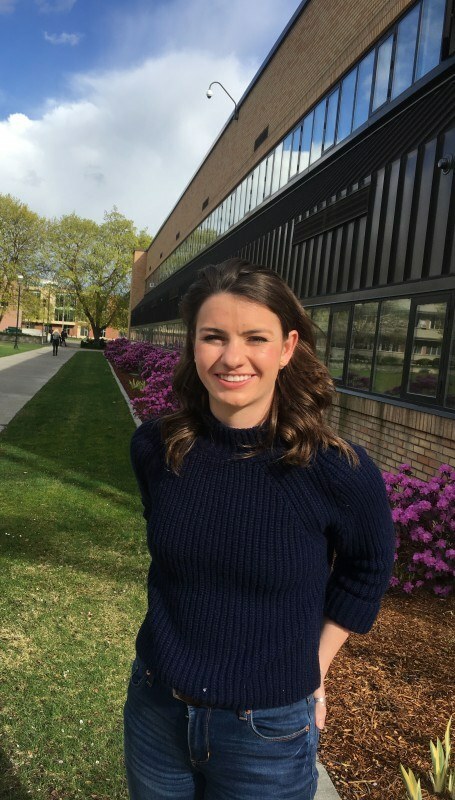 SPOKANE, Wash. – Gonzaga University sophomore Madison Rose, a special education major from Centennial, Colorado, has been selected as a Campus Compact 2016 Newman Civic Fellow. Rose is among 218 student leaders from colleges and universities in 36 states, Washington, D.C., and Mexico honored this year by Campus Compact. Rose is a student coordinator for the Eye to Eye mentoring program, a national initiative that creates awareness about learning differences and attention deficit hyperactivity disorder, known as ADHD. She worked with fellow Gonzaga students to host a Share Your Story event on campus March 15. Rose facilitated the event in which four Gonzaga students shared their personal stories of dealing with a learning disability. Gonzaga special education Professor Mark Derby and Thomas Beck, co-founder of the Winston Center in Spokane for the treatment of ADHD and dyslexia, also spoke. As a student at Regis Jesuit High School in Aurora, Colorado, Rose presented a TedxYouth talk describing her challenges with learning disabilities. Campus Compact’s Newman Civic Fellows Award award honors the late Frank Newman, a Campus Compact founder and a tireless advocate for the civic engagement of higher education. The award recognizes undergraduate and graduate students who have taken action in pursuit of long-term social change and who engage and inspire others in their communities. Rose and the other students selected as fellows will receive an award certificate and an invitation to join the Newman Civic Fellows online network. They will also be featured prominently on the Campus Compact national website and invited to participate in state-specific activities. Campus Compact is a Boston-based nonprofit coalition of nearly 1,100 college and university presidents – representing some 6 million students – who are committed to fulfilling the civic purposes of higher education.